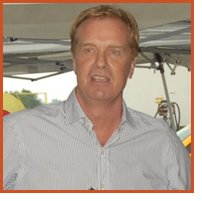 Kip Tom is the Managing Member of Tom Farms LLC and the President of CereServ Inc. In addition to being active in Agri-Business operations in Indiana for the past 39 years, Kip has also served as a crop production consultant to various companies in Argentina, Brazil and Chile. Today Kip leads finance, strategy and production operations for Tom Farms and CereServ in the U.S. and Argentina. Kip’s early role in Tom Farms was to serve as a production technician. In 1980, he assumed the role of Assistant Director of Production and Supply Management, leading the company’s growth and expansion of production. In 1985, he led Tom Farms’ engagement into seed production for Pioneer and by 1996, they became Pioneer’s largest U.S. contract seed producer. By 1992, Kip began seed corn production consulting services in Latin America by working with companies to improve yields, increase efficiencies and shorten the timeline in the supply channel in Southern Hemisphere Seed Production. In 2000, he led the efforts to found a company in Argentina to produce seed for Pioneer. Today, Tom Farms is one of Monsanto’s largest seed producers and is also developing into one of Indiana’s largest grain commodity production businesses. Courses of Study include: Agriculture Management, Texas A&M; Harvard Executive MBA Courses; Texas Executive Agriculture Program, Texas A&M; and the Purdue Midwest Food and Agribusiness Executive Program. Current and recent activities include: Indiana Economic Development Corporation-Director (2004-Present); IEDC Director serving on the Entrepreneurship and Policy Committees (2004-Present); Indiana Chamber of Commerce, Board of Directors (2007-Present); Farm Journal Agriculture Foundation, Board of Directors (2010-Present); Indiana Department of Agriculture, Advisory Board Member (2004-Present); 246 Capital Investments, Board of Directors (2010-Present); MASCO , Inc., Board of Directors (2007-Present); The Farm Foundation, Member (2011-Present). Board member of the International Food and Agri-Business Managers Association (2011-Present). Kip currently resides near Leesburg, Indiana.